SHEFFIELD, MA – Its name comes from the nearby Bash Bish Falls. 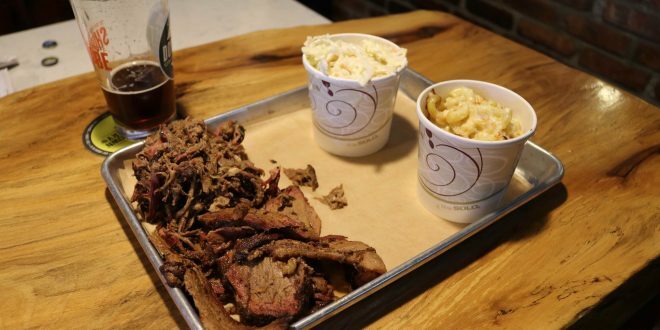 It has been open for nearly four years, but RIDE-CT & RIDE-NewEngland only heard about Bash Bish Brew & ‘Que recently when a friend discovered it, came away raving about its combo platter of ribs, brisket, pulled pork and pulled chicken dubbed The Pitmaster ($39), and urged a visit. It took a few weeks to get there, and darned if the tip wasn’t spot-on. 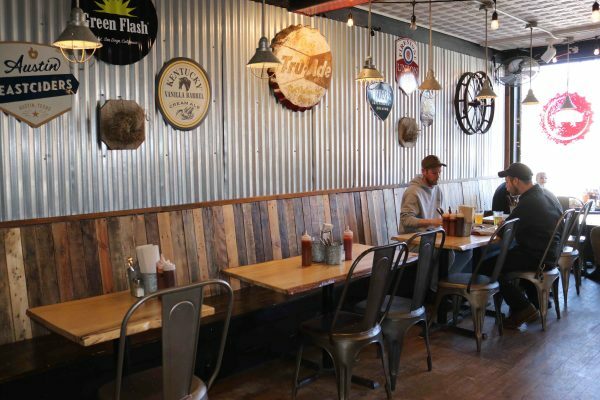 Located on Route 7 in downtown Sheffield (113 Main St. to be specific), Bash Bish Brew & ‘Que presents itself quite nicely with a throwback pub exterior and cozy interior with bar and and seating area. 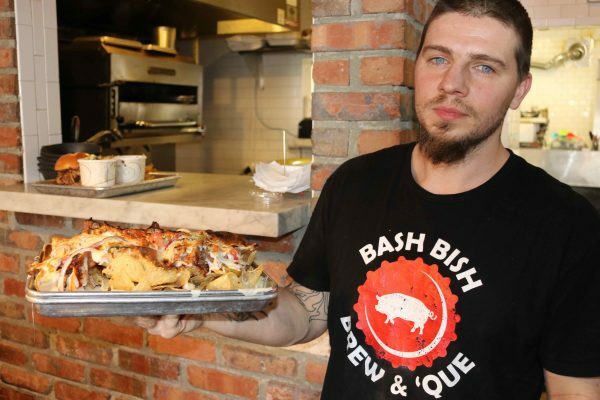 Bash Bish’s name only tells a part of the story because besides having craft beers (on tap and in cans) and the requisite BBQ offerings, it also has, yes, pizza, nachos and burgers. Pizza wasn’t the goal upon sitting down at the bar, though, it was brisket and pulled pork. I ordered in a combo platter ($18) with mac and cheese and cole slaw on the side (picture at top). While the brisket was a bit chewy, the pulled pork was hands down the tenderest that I’d ever tasted. Chef and co-owner Kevin Beaumont explained that he soaks the pork in brine for a day or two before smoking it over pear and apple wood. Equally outstanding was the mac and cheese. 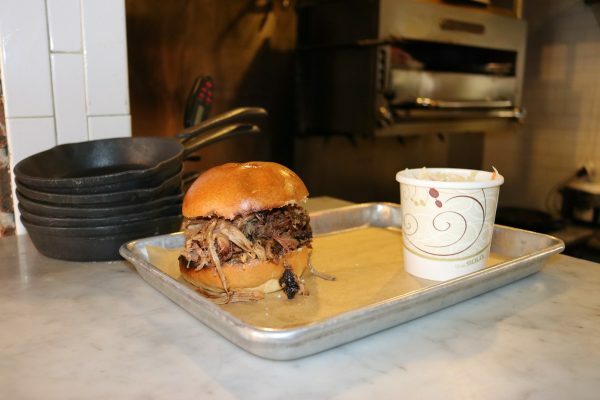 “We make the cheese sauce by hand – cut it, shred it and boil it down,” he said. The menu does change. “We do a weekly special for the weekend – however creative I feel like getting,” Beaumont said. House specialities include stuffed chicken breast with peppers, onion, broccoli over rice with a wasabi sauce and smoked wings with a sweet chili sauce. 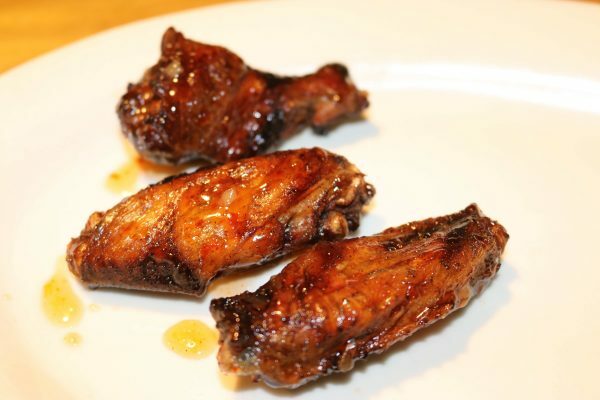 Beaumont provided a sample of the wings and they were far from ordinary. Dessert options are limited, but truly outrageous. 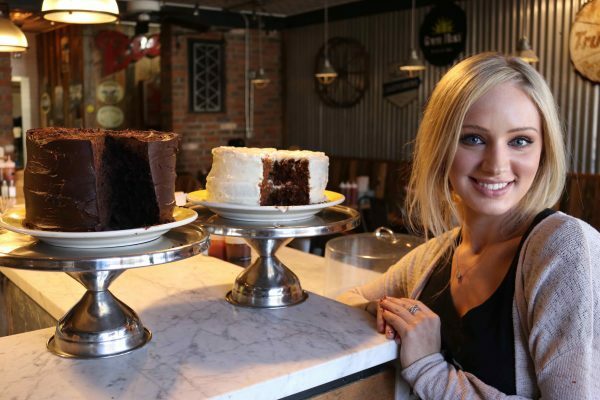 Bartender, waitress and pastry chef Kersten Cutlip had two of her creations on the counter late Saturday afternoon – a carrot cake and a chocolate stout cake. “I probably make two or three (of each) a week. They go pretty fast,” she said. I tried the carrot cake and it was moist and rich; truly amazing. The portion size at Bash Bish was such on the combo platter that a to-go container was required, and enough meat went into the container for another entire meal. A quick word about the pizza (solely from reading the menu). The choices are hardly routine. There’s a Ma’s Brisket pizza with roasted garlic, figs, manchego cheese and mozzarella and the Phoenix with pulled chicken, red onion, mozzarella, blue cheese buttermilk dressing and buffalo sauce. 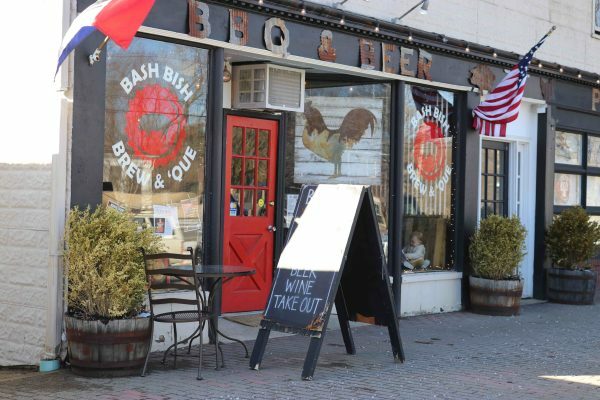 Bash Bish Brew & ‘Que is open six days a week. It’s closed on Tuesday. Given it’s location in the Berkshires, it’s certainly a convenient place to visit when exploring back roads in the area on two wheels.